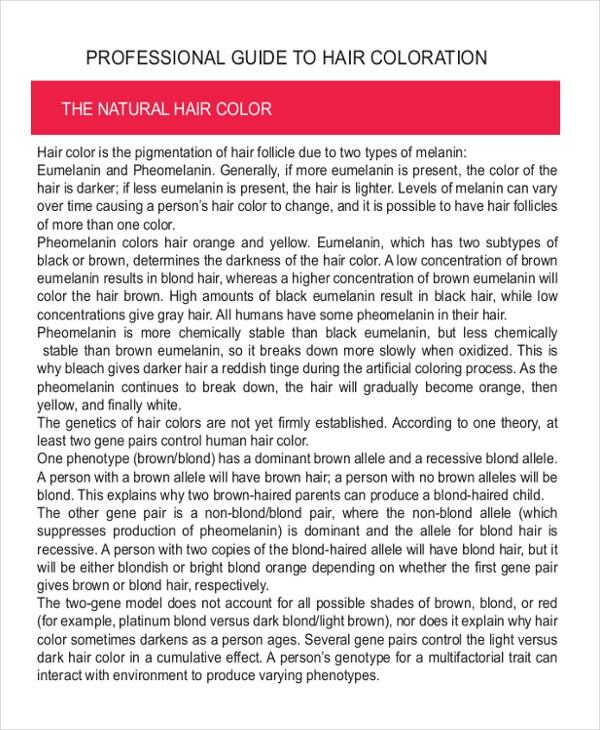 A hair color chart is an extremely handy and useful option for all those people who are looking out to improvise their original hair color or get it completely changed. 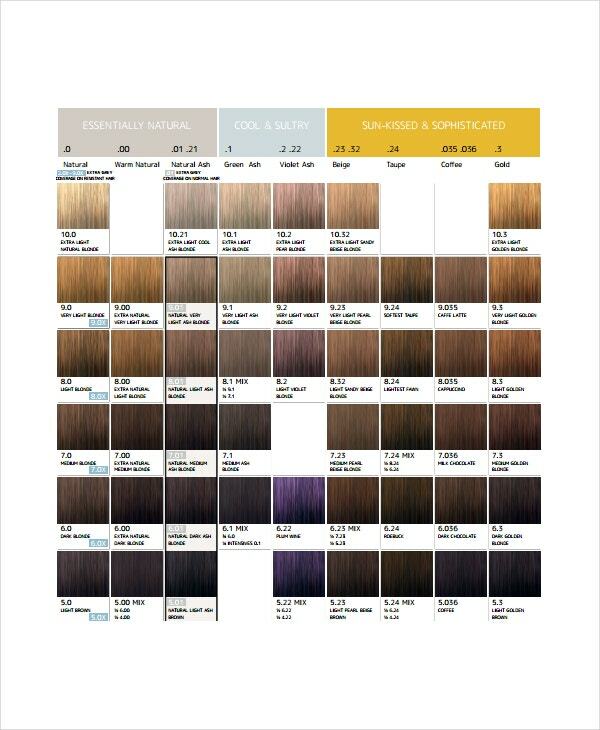 It is an extremely high-value tool that helps you choose from different shades. 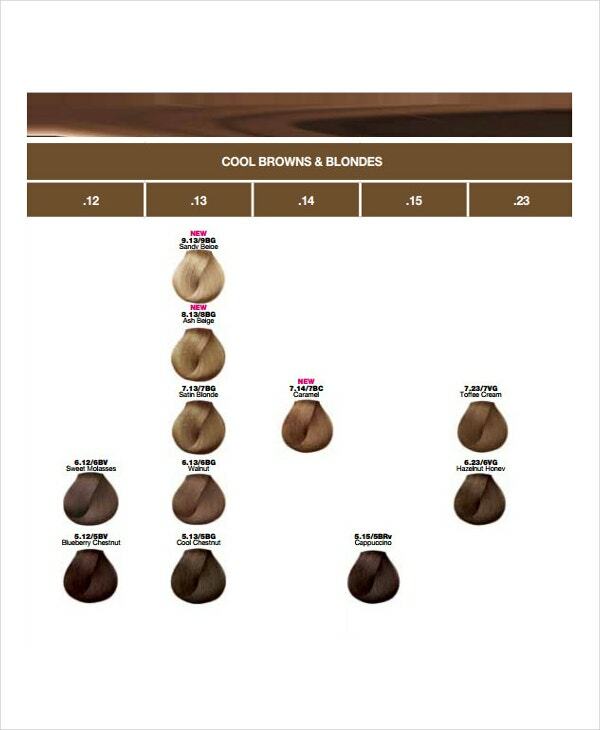 A hair color chart can be divided into four major groups, namely; blonde, red, brunette and black. You can also see Excel Chart Template. Each of these colors can be altered and redefined in their tones, to come up with a better appearance. For example, one can combine the blonde shade with cool tones to come up with newer hair colors like champagne or gray blonde. The same procedure can be incorporated with all shades to match an individual’s personal preference. You may also see Chart Templates. 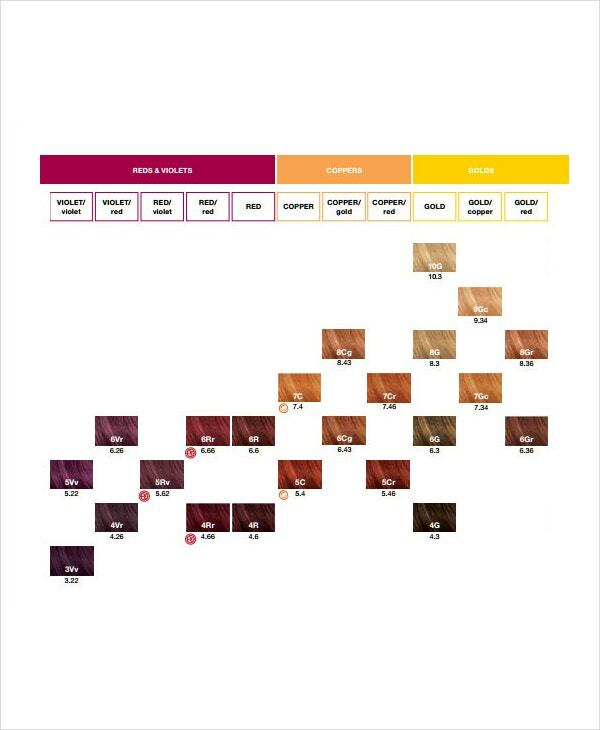 Picking a right hair color is a quite challenging task. 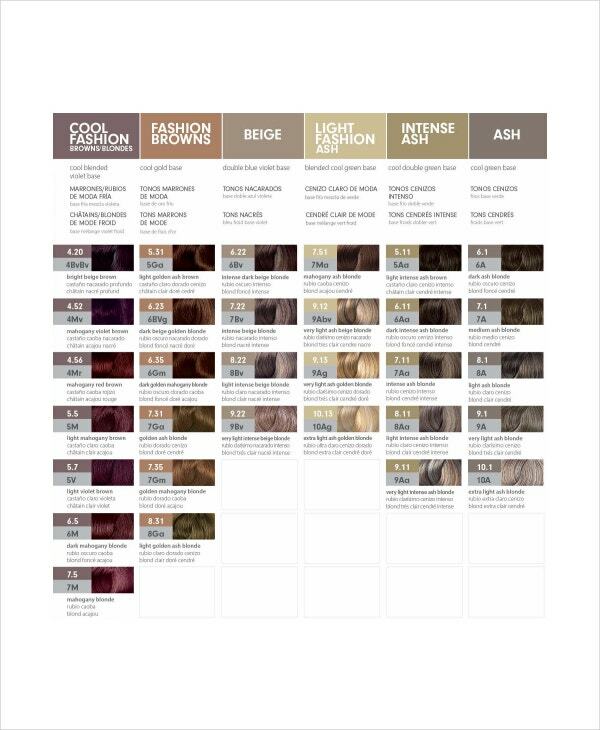 Hair color chart is fundamentally considered as a guideline to select the hair color. Some consider it as a version or a standard as well. 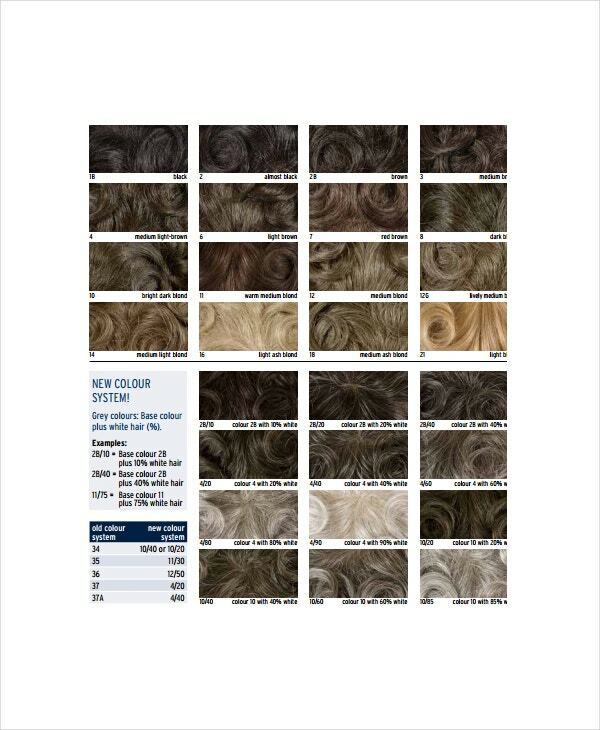 The different natures and shades of hair color chart are just mild mixing or tweaking of the basic four colors. 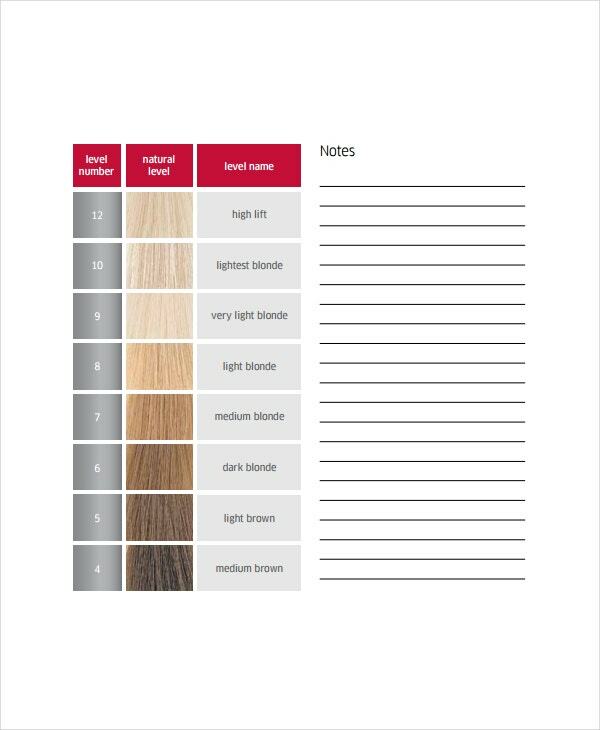 When one go through the hair color chart of different popular brands one gets to understand that tones starts from blonde and gradually gets darker and finally finishing with black. You may also see Control Chart Templates. Light ash blonde color suits ladies who have pale skin tone and to protect this hair color one should use a purple shampoo. Light blonde color is ideal for young girls who have fair skin and hazel or blue eyes. Light auburn suits best on ladies having excellent fair skin tones with light eye colors. Reddish cinnamon hair color works marvelously on ladies having cool skin tones. Jet black is a prominent color which works best on ladies having darker skin tones. 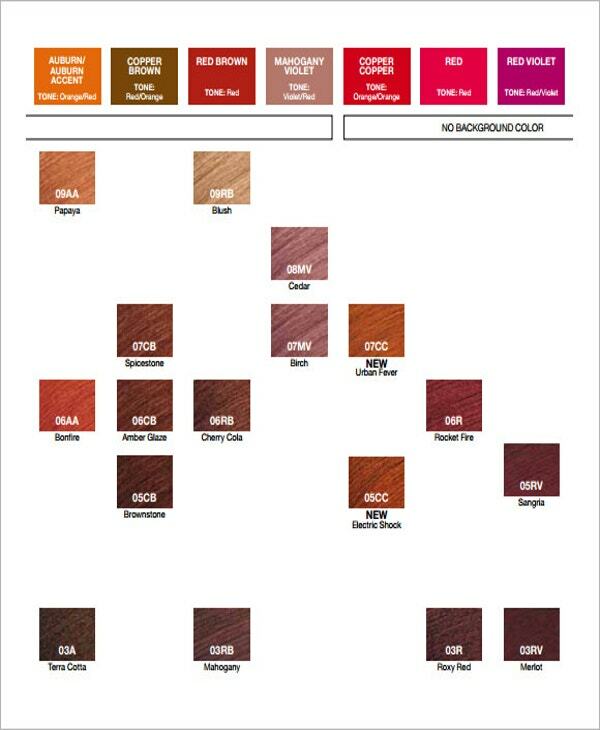 By using a hair shade finder that is provided by many renowned brands one can easily select the best hair color. You can also see Run Chart Templates. For spring type ladies whose skin complexion is light and clear, the best hair color is generally blonde or red. And these type ladies should ensure to choose light color shades. For summer type ladies who have tender rosy skin, the best hair color is silvery or platinum blonde. Winter type ladies whose skin complexion is very light, the perfect hair color is bluish-black or ash tones. You may also see Weekly Chore Chart Template. Hair coloring with auburn color makes one more charming and gives mature look. By adding golden shades with auburn it makes one look tremendously gorgeous. The sun-kissed auburn hair color makes one gorgeous and stunning. For thick and straight-haired ladies dark auburn hair color makes them look rather charming. You can also see Pert Chart Template. Most people choose brown hair color because of the rich look it gives. Light brown suits well for ladies having medium, warm or cool skin tones. Combination of brown and golden hair color suits well for ladies having warm skin tones. For olive skin-toned ladies, chocolate-brown hair color is the perfect choice. You may also see T Chart Template. Taking care of colored hair needs some extra effort and passion. One of the most important things is using the right color-protecting shampoo and conditioner. Avoiding going out in extremely hot conditions is essential. The harsh weather and wind can spoil one’s hair and hair color. Taking plenty of green vegetables and drinking sufficient water will help to strengthen the hair. Avoiding tight knots and keeping the hair loose to the maximum extent will be helpful. You may also see Comparison Chart Template.